When blasting in dimly lit areas, production and efficiency can fall dramatically due to bad visibility. We stock and supply blasting lights that can either be retrofitted to either the blast helmet or blast hose to provide a crisp clear illumination to the work surface. 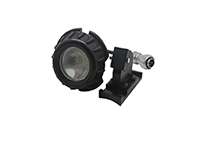 Our lighting equipment is fully adjustable, ensuring the light is targeted where it needs to by the operator. Our lighting equipment can operate up to 20 hours on a single charge and can be sued with any type of abrasive blasting process. Each lighting apparatus uses a safe 3.7 Volt rechargeable lithium ion battery producing 1000-1300Lux of illumination and produce no heat during operation. Replacement outer Pyrex lens are available which protect the lamp from ricocheting abrasive. 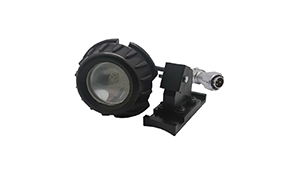 Featuring a service life of up to 500 cycles, the lighting apparatus can be infield repaired. 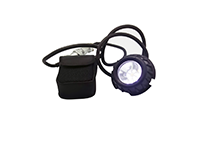 Lighting apparatus includes an easily fitted battery pouch to the operators controller waist belt. Our range of lamps can be used with virtually any blasting application where there is poor ambient light providing an enormous 1300Lux. Top of the range LED type lamps that can be easily mounted any air fed blast helmet to provide crisp clear illumination.